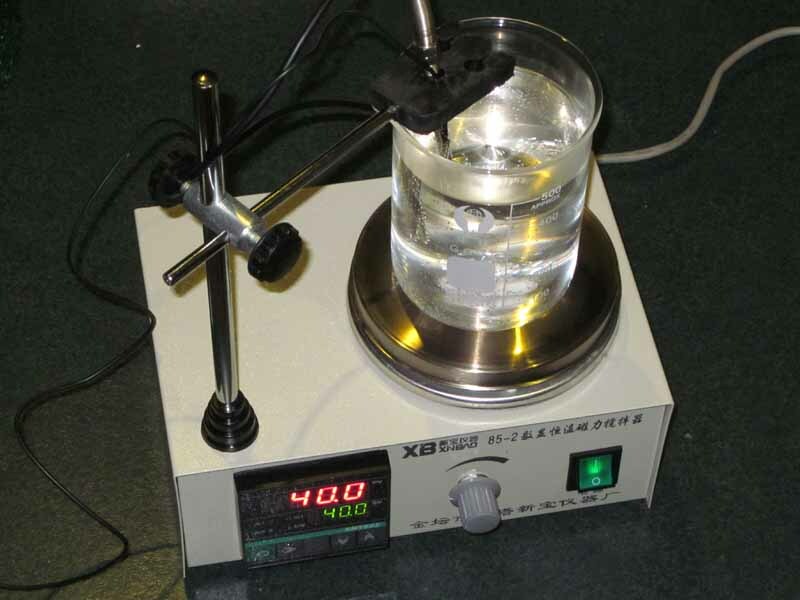 Review: magnetic stirrer with heating plate and digital display XB 85-2 documented problems that prevented the device being very useful. 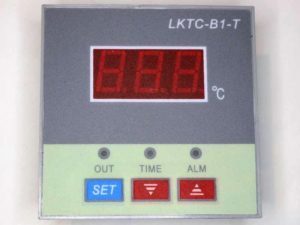 Attempts to tune the supplied PID controller above were frustrated by a lack of meaningful documentation supplied or found in searches on the ‘net, and the fact that the display is sometimes faked to appear that the temperature has stabilised. With any non-zero I term, it behaved badly and some observations suggest that it suffers from integral windup. It is truly a piece of Chinese junk and unusable. Above is an independent logger capture of the temperature from switch on. There is a large overshoot, and then, no matter what the settings, it oscillates and the lowest amplitude obtained was 1°pp (above). The overshoot is almost as much as observed in manual warm up when power is cut at 40°. Above is the device with a XMT-803 PID controller which fits the less common panel aperture and SSR fitted (and some other small circuit modifications to suit). For a trial, the auto-tune feature of the controller was used for initial tests. Above is the temperature plot from power on (note the timescale is a little different to the previous plot). Notably there is no large overshoot, nor significant oscillation or instability. The rate of rise of temperature is a little slower than with the original controller, but it reaches stable operating temperature more quickly, about half the time mainly because it does not grossly overshoot the SV. The new controller is a stunning improvement, but no less than one would expect in this time of device. Above is a pic of the case internals. The new PID controller fits the panel aperture, and a new SSR is fitted to the rear panel at the left. 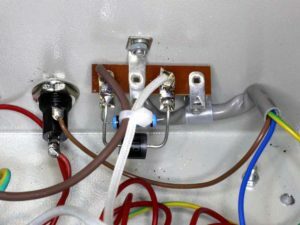 A tag strip was added on the right side of the rear panel to carry the 6A10 diode used in the 220VAC version and that was previously hanging in the air, and a 100KΩ 2W shunt resistor so that the SSR would work with a diode load. 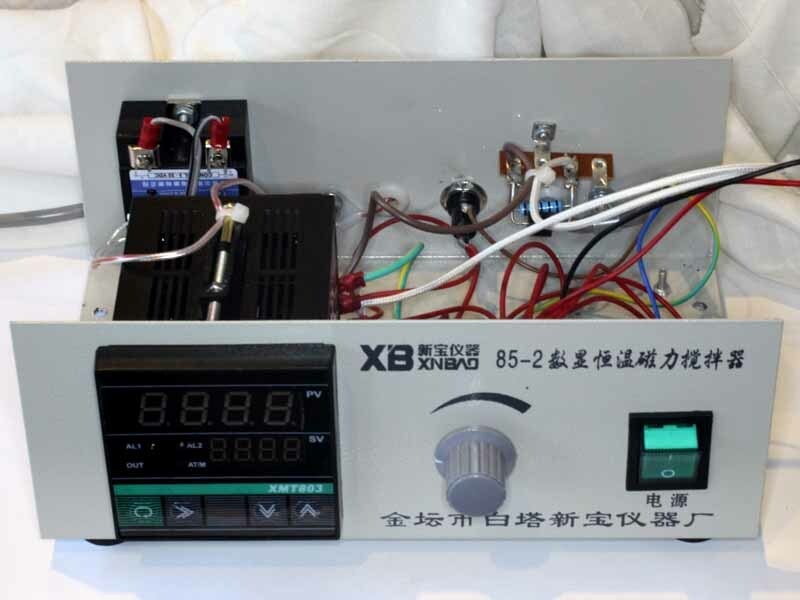 The resistor dissipates less than 300mW, and the diode current is about 3A peak half wave rectified. The pic above is a close up of the detail of the new tag strip. 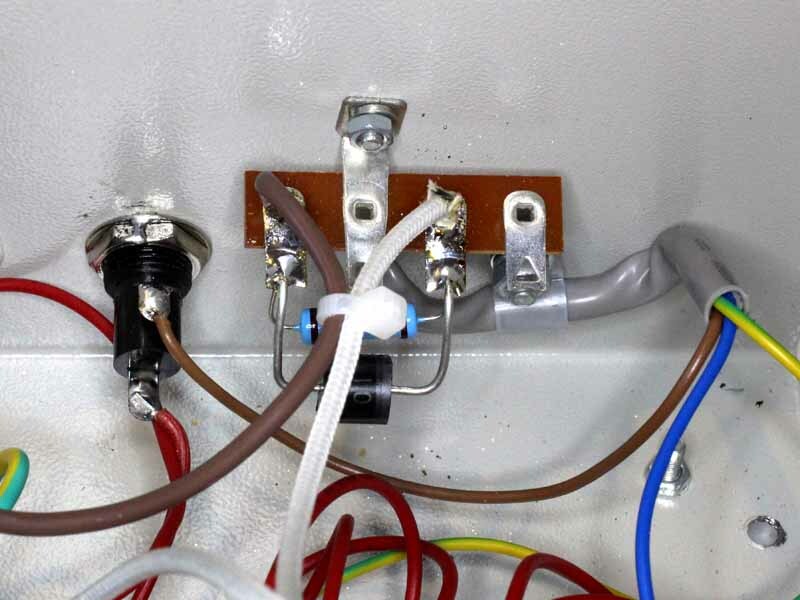 The brown wire is active from the SSR, the white wire is to the heater element. All this is mounted low enough to not interfere with the heater / motor assembly mounted to the lid. Extensive testing of step recovery is deferred until a suitably accurate probe is obtained. … and yes, the Chinese do not understand or care that a Pt100 is NOT a thermocouple, it is an RTD and they are not interchangeable. The next challenge is to find a low cost Class A or Class B Pt100 probe. Most eBay and Aliexpress listings do not mention accuracy class, but those that do all state Class A… which is about 0.23° at these temperatures. None that I have tested are less than ten times that… Chinese cheats again. 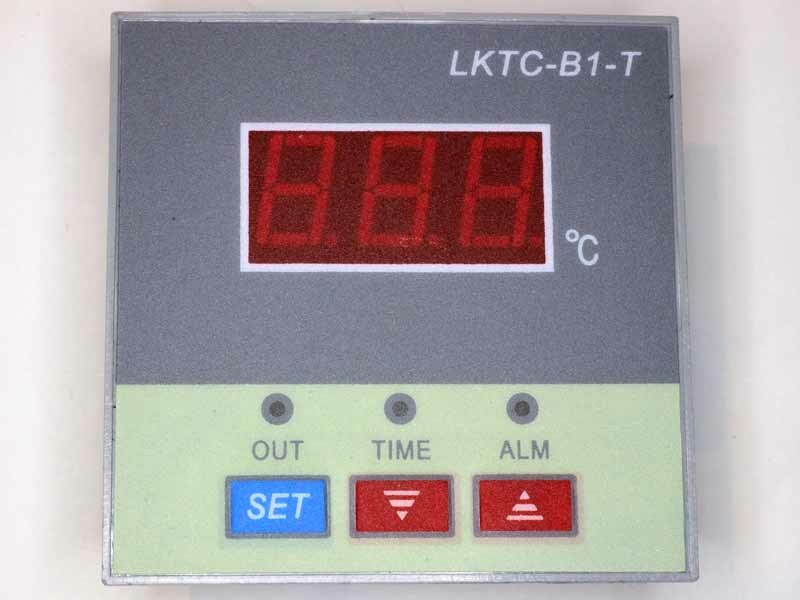 The controller does, like most, have a configurable error adjustment, but that simply applies a fixed offset to the measured temperature and cannot compensate a Pt100 resistance being other than 100Ω at 0° (well, other than at one temperature). Initial tests on another Class A probe acquired are very encouraging. Again the autotune procedure was run storing P=4.3, I=1165 and D=200. Above is the response to addition of 25ml of 20° water to 500ml of water at 40°. The response is rapid and 0.1° overshoot is very acceptable. Indicated temperature was compared with a 0.1° accuracy instrument and the readings around 40° were within 0.1°. The measured temperature of a pot of boiling water was 98.0° which reconciles with the expected 97.9° at 710m altitude and barometric pressure 1019hPa.